Burnley Council has been told it “should be proud of its achievements” following a review of its services and plans for the borough by an independent review team. The feedback was received following a “corporate peer challenge”. The council invited external local government experts from outside the borough to challenge its way of working, and to suggest improvements to the council’s services and plans. The peer challenge team included the chief executive of Norwich City Council, and the council leader of Chesterfield Council. The review team first inspected the council in 2016, so was returning to review what progress had been made. In its latest assessment, the review team said the council had built on the positive work it had identified two years ago: “The council has made significant progress in relation to a range of economic, housing and regeneration projects. To build even further on these successes, the peer review team identified a number of opportunities for the council to consider. One suggestion is that the council work with partners to build up the borough’s leisure and cultural scene. 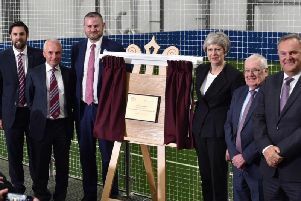 Linked to the council’s vision of Burnley as a ‘university town’, the review team also said that there “are opportunities to strengthen engagement approaches to ensure achievements and future vision are better understood by local communities”. In response, Coun. Mark Townsend, leader of Burnley Council said: “It is of course pleasing to get such good feedback, and to hear from independent assessors from outside the area that Burnley is continuing to making positive strides. “The council will consider the recommendations from the peer review in more detail. "However, in response to its suggestion that we need to make sure that the council’s vision is better understood by local communities, we will act immediately. The peer review team’s feedback letter is available on www.burnley.gov.uk, and will be considered by the council’s scrutiny committee on September 17th.